Sophisticated design with glamorous Tiffany diamonds. 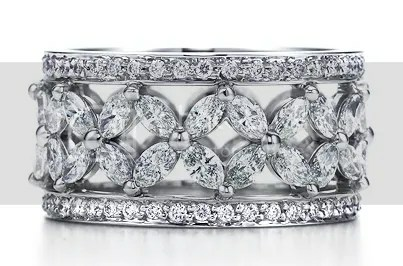 Band ring with round brilliant and marquise-cut diamonds in platinum. Have you ever thought about your engagement or wedding ring? Does money matter when it comes to it? 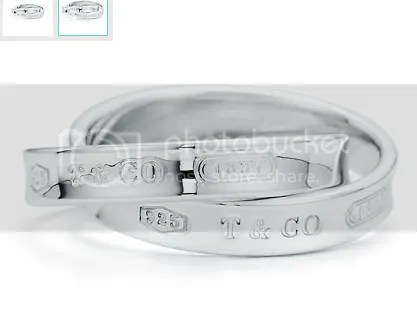 Does it matter that your ring cost under $1,000, or will you get mad it’s not over $10,000? But alas, we can be greedy and always want the best… we’ll love it no matter what it cost! Unlike any other ring! Rings, even though wonderful, are always the same – smooth and round. 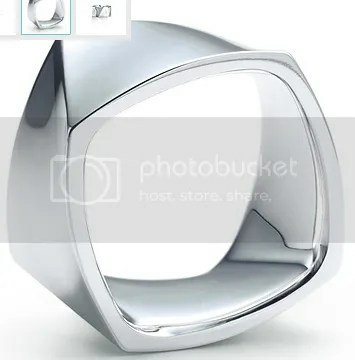 The Gehry gives a unique twist to the classic ring design.